Most of the time my target shooting looks like this, 22LR at an indoor 25m range with varying degrees of success, some weeks I even make it down there twice, some weeks not so much. 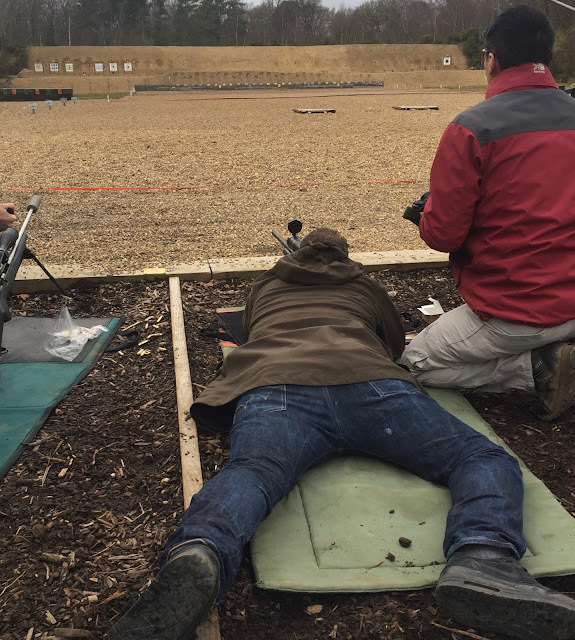 Once the weather warms up my club rents out target at Bisley - the national shooting ground and we gather to shoot a little further. This year's outing started at 100m with most people shooting 5.56mm my results were, er um, undistinguished and so shall remain unmentioned. Steyr SSG 69, which its owner tells me he's shot it for the last 20 years. These rifles are arguably the precursor to the 'sniper rifles' of today, SSG = sharp shooter gun, although one wouldn't be my first choice for hill stalking, they are a smashing target rifle and chambered in .308 not too spendy to feed either. 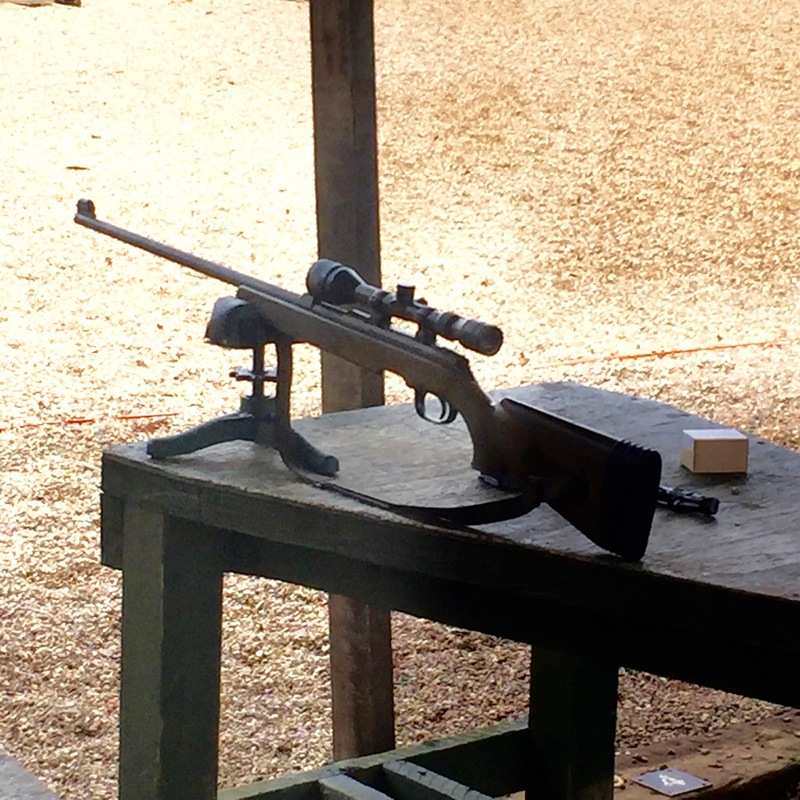 As its still early in the year shooters are getting back into it after the inclement weather, some of the crew are preparing for the Target Rifle season, and the Civilian Service Rifle crowd are working out the reliability issues that seem to plague the AR15 owner. There are dozens of people who will be described to you as "Bisley Types" usually by people who would fit the description themselves, and 'engineering buff' would defiantly be one of them. A few lanes away we met a gent who had brought this spectacular scope with him. He managed to underplay his own expertise by telling a series of amusing anecdotes about his brother's engineering obsession. 'Buy a lens for three grand and then polish it'. This scope was a cast-off, his brother makes them as binoculars for bird watching at ranges of a couple of miles or more! John Gierach still has it. The original trout bum is back for his 21st book, and for me his laconic storytelling style never gets old. Whereas he was once young and keen he's now older and wider. Still bouncing along over dirt tracks and bumping down in small planes to reach the trout others only see in magazines he's made a life for himself living wild and free, fishing wild places. In a world where all outdoor activities now seem to need to be "extreme" he manages to hang on to the idea of The Gentle Art, he fishes for the sake of fishing, sure he'd like to bank the big one, but I can't help get the feeling he'd be happier if he saw a newbie catch it. He's owned all the best gear a fly shop can offer, and yet at the same time he can't help but poke fun at the way 'simplicity' always seems to come with such an eye watering price tag. Best of all he has the good graces to make himself sound delighted with life, without being smug. One of the great outdoor voices.